TCDC has arranged for Veolia to take samples from Wigmore Estuary on a regular basis. The results of these tests are shown below. 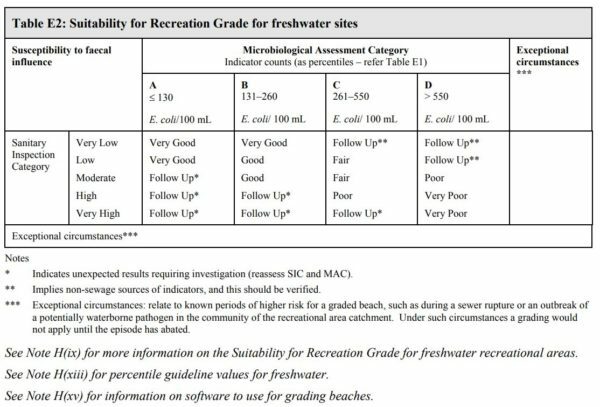 To set these results in perspective, the Ministry of Environment provides guidelines for Recreational Fresh Water. These guidelines state that the maximum levels for E Coli is 550 /100ml and Entrococci is 280/100ml. As you can see, the water quality in the Wigmore frequently exceeds the maximum level. High levels normally occur during and after rainfall when storm water washes organic material into the stream. Waikato Regional Council Coastal Recreational Water Quality Monitoring Programme. 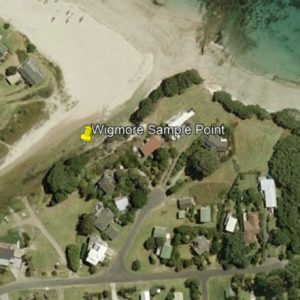 Waikato Regional Council (WRC) monitors beaches in the Coromandel. Click here to see the latest information. When reviewing WRC data however, note that only seawater from beaches is sampled. We think it is important to also monitor streams that flow into the ocean as many children like to play in the stream estuaries.